The 2016 United States Senate election in Idaho was held November 8, 2016, to elect a member of the United States Senate to represent the State of Idaho, concurrently with the 2016 U.S. presidential election, as well as other elections to the United States Senate in other states and elections to the United States House of Representatives and various state and local elections. The primaries were held May 17. Incumbent Republican Senator Mike Crapo won re-election to a fourth term in office. ^ Russell, Betsy Z. (August 18, 2014). "Crapo says he'll seek another term". The Spokesman-Review. Retrieved August 29, 2014. ^ Russell, Betsy Z. (May 12, 2015). "Crapo announces he'll run for a fourth term in the U.S. Senate". The Spokesman-Review. Retrieved May 29, 2015. ^ a b c "RRHElections Senate Rankings – April 2015". RRH Elections. April 18, 2015. Retrieved October 3, 2015. ^ Russell, Betsy Z. (June 10, 2015). "Fulcher endorses Crapo for re-election". The Spokesman-Review. Retrieved October 3, 2015. ^ Easley, Jonathan (February 13, 2015). "Labrador won't run for Senate". The Hill. Retrieved February 16, 2015. ^ a b c "Official Primary Election Statewide Totals". Idaho Secretary of State. Retrieved July 20, 2016. ^ "Declaration for 2016" (PDF). Retrieved March 13, 2016. ^ Malloy, Chuck (July 5, 2015). "Democrats Have Issues with Crapo, But No Candidate". Idaho Politics Weekly. Retrieved October 3, 2015. ^ Brown, Nathan (May 13, 2015). "Crapo Announces Re-Election Bid, Campaign Team". Twin Falls Times-News. Retrieved October 7, 2015. ^ a b Brown, Nathan (August 12, 2015). "Federal Lands, Refugees and Regulations Drive Crapo Town Hall in Castleford". Twin Falls Times-News. Retrieved October 7, 2015. 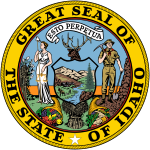 ^ a b "Idaho primary: Who's running for county, state, federal office". Idaho Statesman. March 11, 2016. Retrieved March 24, 2016. ^ "July Quarterly and Termination Report" (PDF). Federal Election Commission. July 6, 2015. Retrieved October 7, 2015. ^ "2016 Senate Race Ratings for September 9, 2016". The Cook Political Report. Retrieved September 9, 2016. ^ "2016 Senate". Sabato's Crystal Ball. Retrieved September 19, 2016. ^ "2016 Senate Ratings (September 2, 2016)". Senate Ratings. The Rothenberg Political Report. Retrieved September 3, 2016. ^ "Election Outlook: 2016 Race Ratings". Daily Kos. Retrieved September 17, 2016. ^ "Battle for the Senate 2016". Real Clear Politics. Retrieved September 15, 2016. ^ "Nov 08, 2016 General Election Results". Idaho Secretary of State. Retrieved December 19, 2016. This page was last edited on 15 February 2019, at 05:35 (UTC).